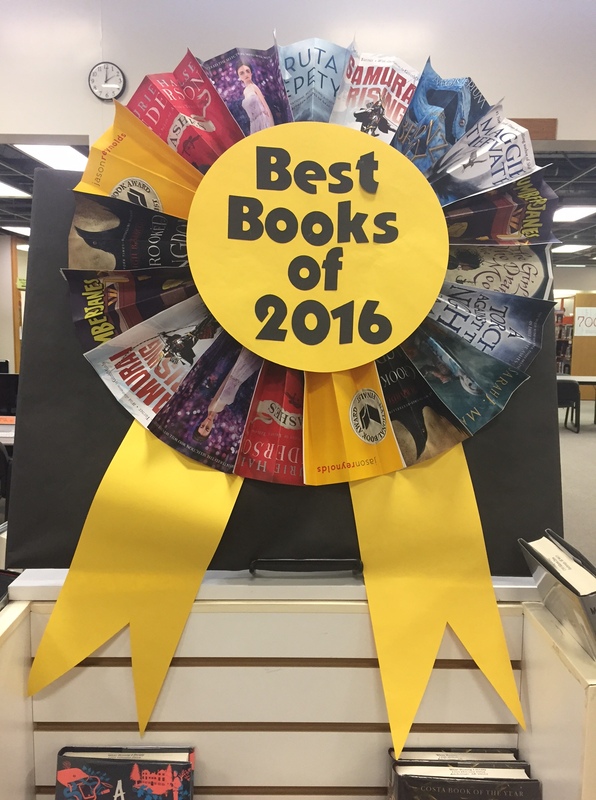 Last week I was browsing through various “Best of 2016” book lists from School Library Journal, NPR, Good Reads, and more. I decided to create a display with the titles we already own. 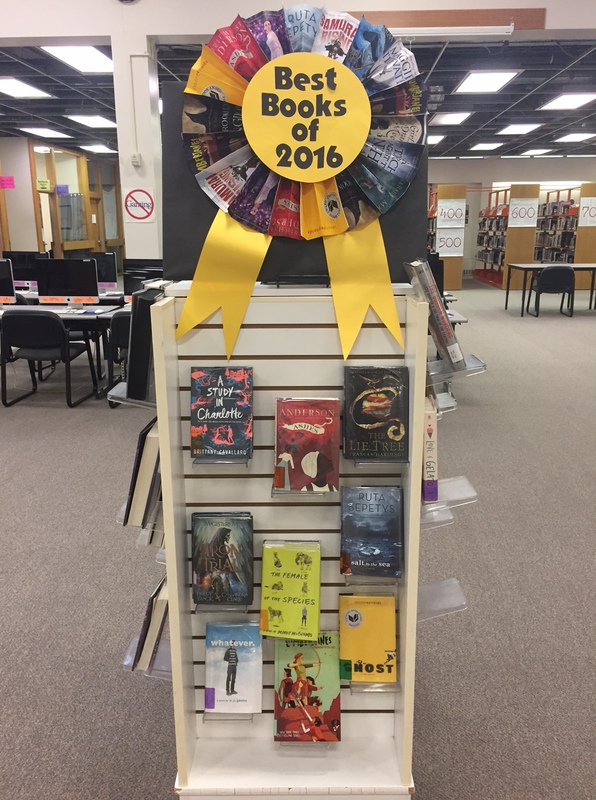 The giant ribbon calls attention to the books, and I posted pictures on our library’s Facebook and Instagram accounts encouraging students to check out a copy before winter break. This makes a great display for late December and early January!